It's now just over a year since I decided that 32 years was long enough to be a journalist. My job as a reporter on a couple of Scottish newspapers was changing pretty dramatically - and not for the better. 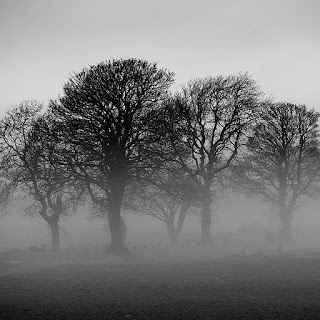 During the daily commute to work, I used to pass fields where there was a light mist and wish I could stop the car and go and take some photographs. Obviously, that was just not possible most of the time. But now it is. This is the first winter where I've been in a position to do so and it's a great feeling. These pics were shot the other day when I was able to pull off the road and enjoy the scenery. I used a Nikon F90x and 70-210 Nikkor lens for both of them, shooting on Rollei Retro 100.. They're not the best misty conditions I've seen - not by a long shot - but they're enough to whet my appetite and have me longing for more dreich winter weather. 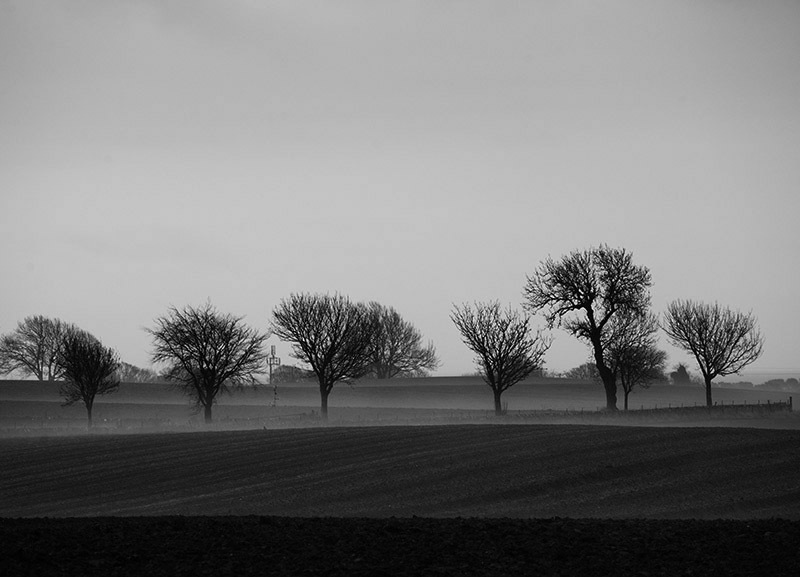 I could have printed them with a bit more contrast but I've tried to remain faithful to the original scene which was quite grey and overcast. I might need to look serioiusly at doing something to earn a crust in a year or two but for now I'm just enjoying the freedom that comes from throwing off the 9-5 shackles. I'm insanely jealous. I too know the pain of having to drive on past a great photographic opportunity. At least in this case, this one waited around for you. Really enjoying your blog too, I also have a home darkroom and print b&w on rc and fiber papers, looking at starting on Ra4 soon too just for something fun. Jealous. Even more jealous over your enlarger. No space for that at home, unfortunately.